A brutal carjacking and hit-and-run crash that killed three children nearly two weeks ago has claimed another victim: the kids' mother. Keisha Williams died just before 10 p.m. Thursday night at Temple University Hospital where she had been undergoing trauma care since the July 25 incident, Philadelphia Police said. The 34-year-old mother was hit by an out-of-control SUV, that had been carjacked minutes earlier, at the intersection of Germantown and Allegheny Avenues. She, her three children and a family friend were selling fruit to raise money to build a playground. 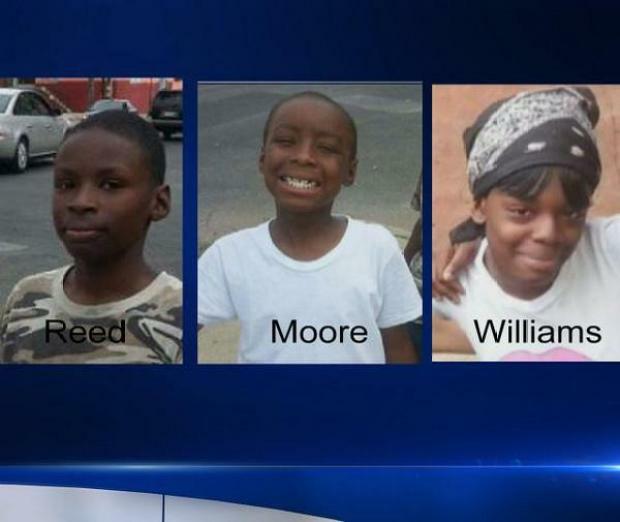 All three children -- 15-year-old Keiearra Williams, 10-year-old Joseph Thomas Reed and 7-year-old brother Terrence Moore -- were killed while the family friend, 65-year-old Thelma Brown, survived. Keisha Williams died nearly two weeks after the hit-and-run crash that killed three of her children. Williams remained in a coma after the crash, officials said. It appears she did not know her children had been killed. She leaves behind two other children who were not involved in the crash. Jonathan Rosa, 19, and Cornelius Crawford, 23, are already charged with second-degree murder in the deaths children and face other charges for allegedly carjacking and sexually assaulting the real estate agent before running down a family selling fruit on the sidewalk. Prosecutors say they plan to add an additional murder charge in light of Williams' passing. Homicide Capt. James Clark said Crawford and Rosa wanted to commit a robbery when they forced a real estate agent into her white Toyota SUV at gunpoint at 6th and Cumberland Streets around 11 a.m. that Friday. They then took off. Inside the truck, the Realtor was sexually assaulted as the suspects sped through the streets of the Tioga section of North Philadelphia. After one of the SUV's tires blew, the vehicle jumped the curb and slammed directly into the family as they stood at their fruit stand. The children were laid to rest earlier this week. The funeral was paid for by Philadelphia 76ers legend Charles Barkley, according to authorities. The three children killed in a carjacking crash in the Tioga section of the city were laid to rest on Monday with a memorial service at the Seventh Day Adventist Church. Rosa admitted to being involved in the carjacking, but denies driving the car and sexually assaulting the realtor, according to his attorney. Crawford has not made any statements and has a court appointed attorney. Both are scheduled to appear for a preliminary hearing next Wednesday.